← Paul Newman, Donuts And…!? It’s (almost) that most won-der-ful time of the year. 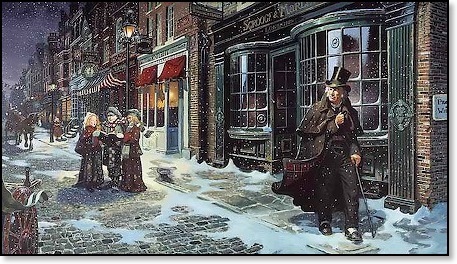 Yes, Christmas carol season is just over the meadow (and through the woods). You might love ’em. Or hate ’em. 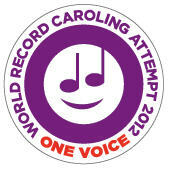 But you probably never thought Christmas carols would get you in the Guinness Book of World Records. Over 250 people are needed to follow a “predetermined, non-strenuous” ½-mile route. And plan ahead: Participants must register online no later than December 10. Entrance fees are $10 for adults, $5 for children 6 to 12 years old. The money benefits the Lily Sarah Grace Fund, which supports the arts in underfunded elementary schools across America. Lily, Sarah and Grace are the 3 young sisters who lost their lives last Christmas Day, when their Stamford home burned to the ground on December 25, 2011. “Caroling and world records have much in common,” says Jim Keenan, event director and representative of the sponsoring Westport Unitarian Church. Sounds like fun. Unless, of course, they start to sing that gruesome song about the little kid and his Christmas shoes. This entry was posted in Entertainment, religion, Totally random and tagged Christmas carols, Guinness Book of World Records, Westport Unitarian Church. Bookmark the permalink. Is it Monday, December 10, or Wedneday December 12? Wednesday, December 12. I fixed the typo. THANKS! WOULD LOVE TO DO THIS WITH MY FAMILY, PROBLEM IS, DECEMBER 12TH IS WEDNESDAY, NOT MONDAY.????? As noted above, I fixed the typo. It’s Wednesday, December 12. No need to shout, though. What a great idea. Last time I helped set a Guiness world record was tap dancing outside Macys. I’ll be there. Thank you for this. Is the date Monday the 10th or Wed the 12th? What an incredible idea. Kudos to the Unitarian Church for creating an event that can honor the Badjer children, raise money for a good cause, set a world record and bring on our Christmas spirit big time. I just signed up – a cinch – and am telling all of my sing-a-long friends. Is it Mon Dec 10 or WE’D Dec 12 please? ?